The Wound and Hyperbaric Oxygen Therapy Center provides some of the region’s most advanced treatment options for patients with wounds that don’t heal. Our multidisciplinary team of dedicated doctors and nurses are committed to using the most up-to-date approaches to wound healing and wound care. Let us help you heal. Difficult wounds of this type are often caused by injury, disease or poor blood supply. 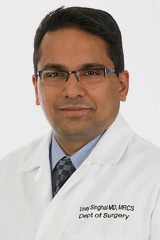 Easton Hospital provides specialized treatment for these types of wounds. Difficult wounds of this type are often caused by injury, disease, and poor blood supply. The Wound Healing Center at Easton Hospital is a recipient of the Robert A. Warriner III, M.D., Center of Excellence award. This Center has achieved patient satisfaction rates higher than 92 percent and a healing rate of at least 91 percent in less than 30 median days to heal, for a minimum of two consecutive years. 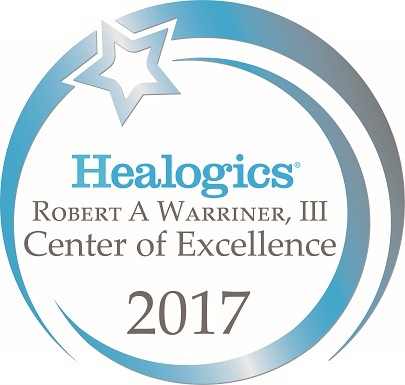 The Center was awarded this prestigious honor by Healogics, the nation's largest provider of advanced wound care services. 90% of the patients who come to the Wound Healing Center at Easton Hospital with chronic wounds heal within 16 weeks of starting treatment. A recent patient satisfaction survey showed that 90% of patients surveyed would recommend the Wound Healing Center to a friend or relative. Your team includes specialists knowledgeable in surgery, surgical podiatry, infectious diseases, vascular diseases and internal medicine. Our physicians and nurses are specially trained in advanced wound healing techniques, including debridement, skin substantively and hyperbaric oxygen therapy. On your first visit, the wound healing team will evaluate your wound, review your medical history and general health as well as request special tests. All tests can be done right here at Easton Hospital. Once your test results are in, our wound healing team, will develop a treatment program that involves regular visits to the center for treatment. You will also be instructed on in-home wound care, dressing changes and ways to protect yourself from further skin breakdown. For some patients who require additional special treatment, hyperbaric oxygen therapy is available. With Hyperbaric Oxygen Therapy, patients breath 100% oxygen at an increased atmospheric pressure while watching TV, movies, or taking a nap. This treatment is very beneficial when used in addition to standard wound care and/or infection control. Our patients have a 96% success rate at meeting their physician assigned healing goals during therapy, and has been proven beneficial for indications such as Non-Healing Diabetic Wounds, Chronic Bone Infection (Osteomyelitis), Delayed Radionecrosis such as Radiation Cystitis, Radiation Proctitis, or other delayed soft tissue radionecrosis symptoms such as dry mouth, difficulty swallowing, pain, radionecrosis of the mandible, etc.